Tenth of the 56m series, S/Y Fidelis never stopped sailing since she was delivered, from the Amazon river to Desolation island and Australia, rounding both Capes. S/Y Fidelis is a true example of the Perini Navi spirit. The owners are very good friends of the Perini Navi family and were extensive charterers before choosing to create their very own Perini Navi. S/Y Fidelis has very contemporary interiors. 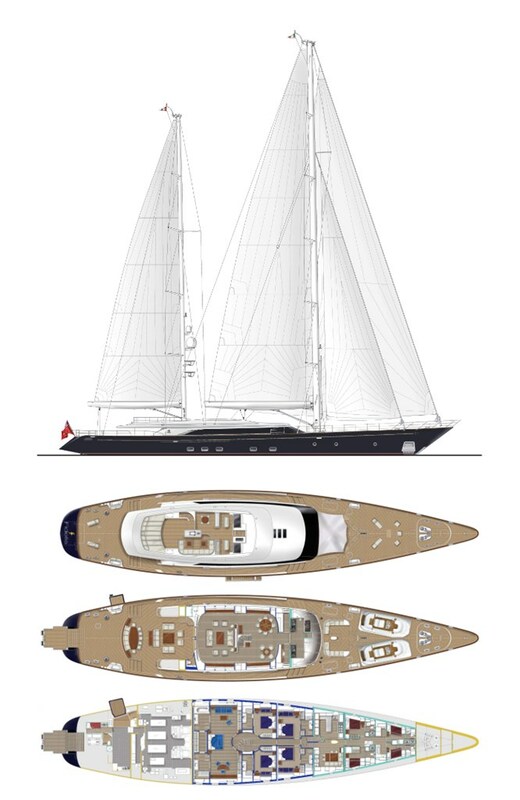 Interior Design Perini Navi / Pro Design Inc.
SY Fidelis is a stylish and comfortable yacht launched in 2011. She has especially ample areas for enjoying life on deck with two cockpits, one fore, one aft, which allow owners and guests to enjoy generously comfortable outdoor spaces.